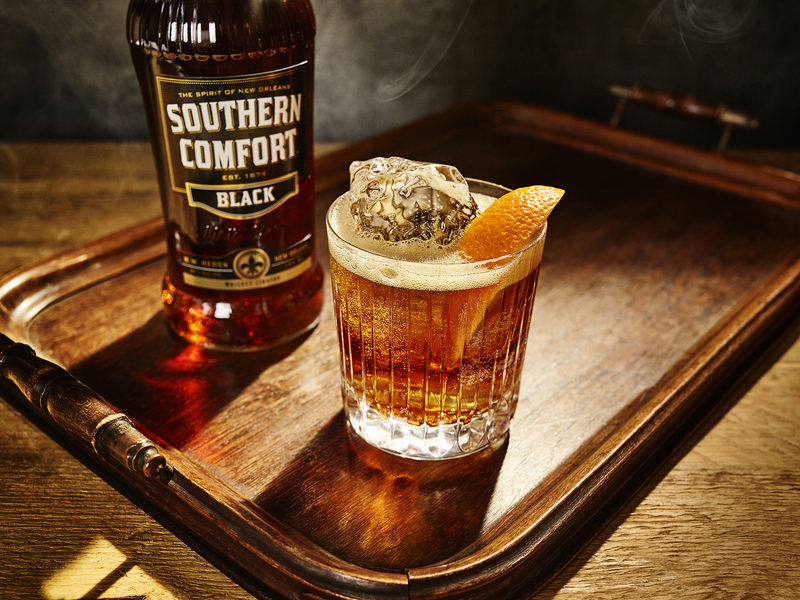 With a high profile UK launch, Southern Comfort Black is bringing a robust new blend to the iconic New Orleans brand. Using the strapline “For those who want their smooth Southern Comfort BOLD,” the launch campaign engages with younger spirit drinkers’ growing interest in American whiskey. The 40% ABV premium Southern Comfort expression will be distributed by Hi-Spirits in the UK on-trade and off-trade beginning March 2018. Southern Comfort Black features an innovative new blend which brings the New Orleans brand’s whiskey credentials to the fore, while still featuring creator M.W. Heron’s blend of fruits and spices. The new expression has been crafted by Drew Mayville, Sazerac’s master spirits blender , who acquired Southern Comfort in 2016. Hi-Spirits expects the bolder profile of Southern Comfort Black to have its strongest appeal to men who are seeking out American whiskey. With retail and on trade listings secured with key trade partners and a number of the UK’s leading on-trade operators. Using digital and social media, consumers will be able to access the ”Blacklist,”’ an interactive database of all stockists, to find their nearest on-trade and off-trade outlet, and download a range of special offers to encourage trial. Bolton adds: “The new ‘Spirit of New Orleans’ positioning launched last year has brought Southern Comfort back to its roots, and while Southern Comfort Original has a strong customer following who enjoy it in a broad range of drinks, Southern Comfort Black will specifically appeal to those looking for a bold whiskey profile, whether they enjoy it straight, on the rocks, or in whiskey-forward cocktails and mixed drinks. Southern Comfort Black has an RSP of £25 for a 70cl bottle. It joins Southern Comfort Original (35% ABV) and on-trade only Southern Comfort 100 (50% ABV) in the range distributed by Hi-Spirits.